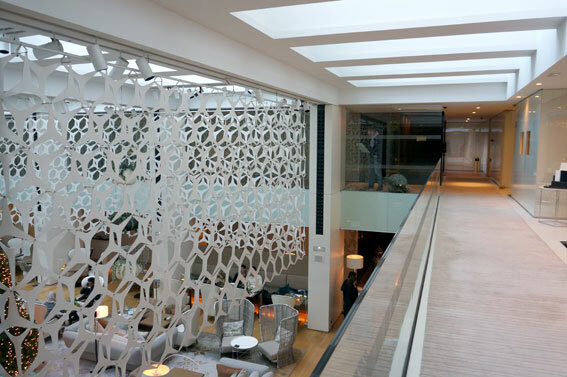 The Mandarin Oriental interiors by Patricia Urquoia are a fine example of contemporary avant-garde that is very Barcelona. Despite the historical site the interiors feel very airy and light. The feminine but also grown-up hand writing and design style of Urquoia is strongly presented with textile details, use of patterns and cosy material choices. 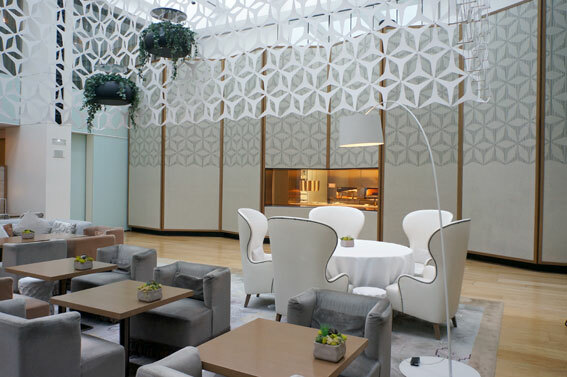 The dominant central lounge has a courtyard structure with surrounded glass walls which is becoming a popular choice to give more natural light to interiors in dense city locations.